Most NordicSport skiers used a combination of four small endrollers and four large endrollers. Add this item to your cart if you want to order a set of eight. Some of the NordicSports also came with 8 large endrollers as well, in the drop down menu you will be able to choose eight large endrollers or a combination of four small and four large endrollers. The endroller axles need to be lubricated with 3inOne oil every couple months to help prolong the life of the bushing inside of the endroller and to keep your NordicTrack quit. 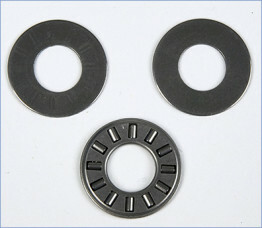 Most NordicSport skiers used a combination of four small endrollers and four large endrollers. 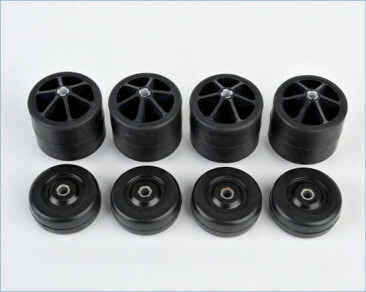 Some of the NordicSports also came with 8 large endrollers as well, in the drop down menu you will be able to choose eight large endrollers or a combination of four small and four large endrollers. 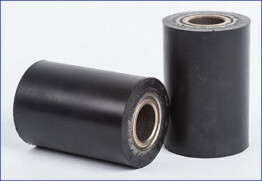 The endroller axles need to be lubricated with 3inOne oil every couple months to help prolong the life of the bushing inside of the endroller and to keep your NordicTrack quit.